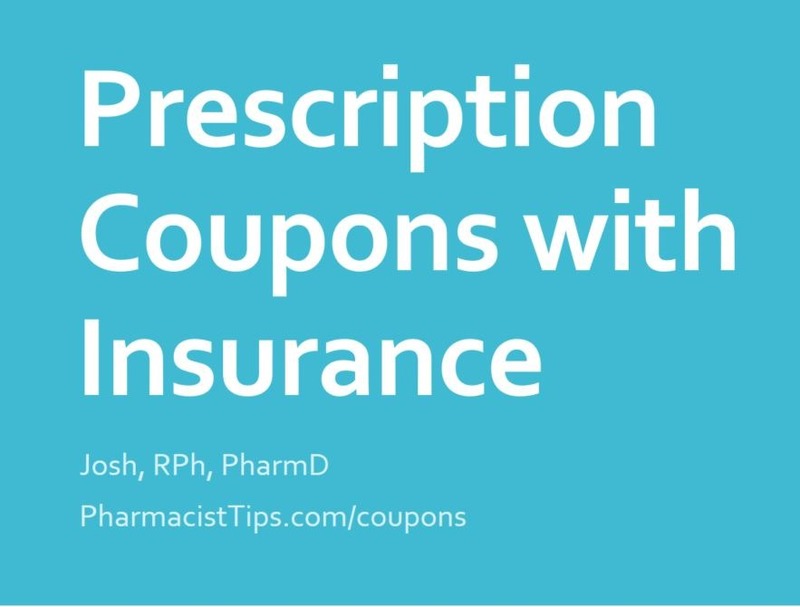 Finding prescription coupons that work with insurance can be a little tricky. Once you know what to look for and how to use the coupons at the pharmacy the process is easier. Coupons cannot be used with all insurance plans. 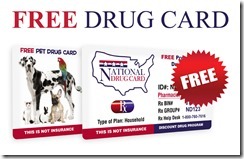 Government funded plans like Medicare Drug Plans, Medicaid and TriCare can not be combined with coupons. The coupon could be considered a kickback, and that is against the law. If your insurance is a commercial plan or you buy the plan yourself it should be eligible for coupons. The staff at the pharmacy will help you determine if your plan allows for coupons. Activate the coupon if required. Many cards have an activate before use sticker, save you and the pharmacy time by activating that prior to visiting the pharmacy. Ask the staff to “split bill” your prescription. 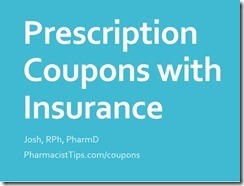 Most coupons require the pharmacy bill your insurance and then the coupon. If you read the fine print, there is often a limit as to how much the coupon will pay. When an insurance covers very little of the medication cost, the coupon may not lower the copay as low as possible. If the medication is still to expensive, talk to your Pharmacist about possible alternative. Or, read about other ways to save money when filling prescriptions.